“Hi, A team of 3 people from Best Cleaning London cleaned our 3 bedroom, 3 bathrooms flat in W1H, Central London in August. They were quick and easy to book, called me on the day when on their way and the most important – did a perfect cleaning job. 2 elegant lady cleaners, uniformed – perfect. The flat looked cleaner than before i moved in and i am sorry, i did not know about them earlier as they also provide regular house/flat cleaners. 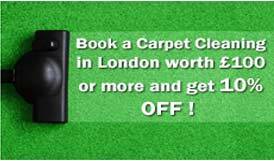 The carpet cleaning service provided by them was very good as well and we received our deposit back in full. I can honestly recommend the company to anyone who looks for a professional End of Tenancy and Carpet cleaning service. Thank you very much. I am writing to thank you and your team for cleaning the flat on 16th August 2012. Whilst I wasn’t there at the end, I was told by my friends and the new owners that the flat was very clean when they took it over. Please pass on my thanks to your colleagues, their efforts are much appreciated. The cleaning today was much more serious than the previous cleaning company, would it be possible to have this same cleaning lady all the time? Just wanted to say a big thank you for your team of cleaners. and will probably be in touch to use you again before long. Just wanted to say a big thank you to your guys for doing a great job with the carpet cleaning this morning. We are really happy with the service and will use your service again! Thanks for a job well done! Every part of the carpet is clean as you said. Great doing business with you!I hope to see you again soon! I was really surprised by the wonderfully cleaned flat i found out when i returned home. I just wanted to express my deep gratitude for the wonderfully cleaned 3 bedroom house which we have just bought. Everything was so clean that i was happy to move in and the carpets looked as good as new. Thank you guys! Thank you guys! You did a brilliant work cleaning our four bedroom house the other day! I am very happy as well as our Landlord. I will make sure i will recommend you to all my friends and colleagues. P. S. Thank you for your great Man and Van Service! We are very grateful for the punctuality and help you provided for us!